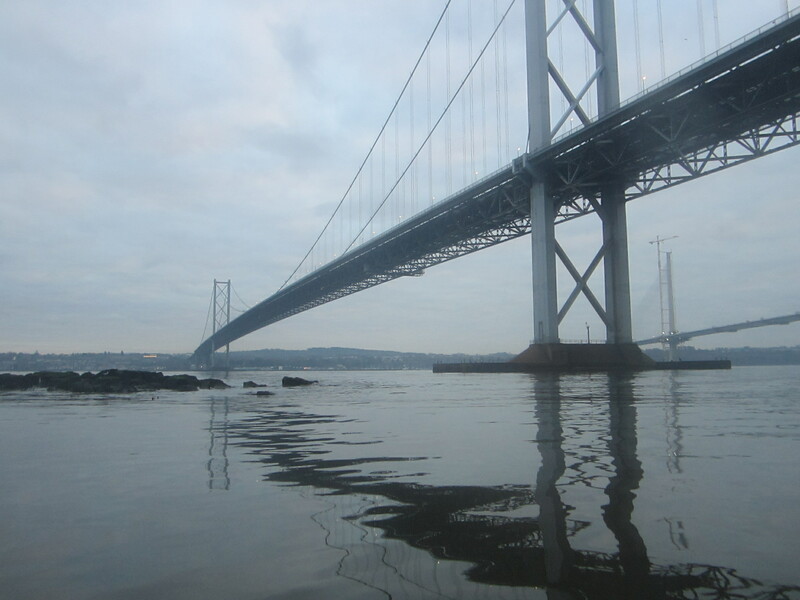 Report: The near completion of the third crossing inspired a voyage of discovery on the Forth. The weather was forecast to be calm and sunny all day but the early fog consolidated into a complete grey blanket. 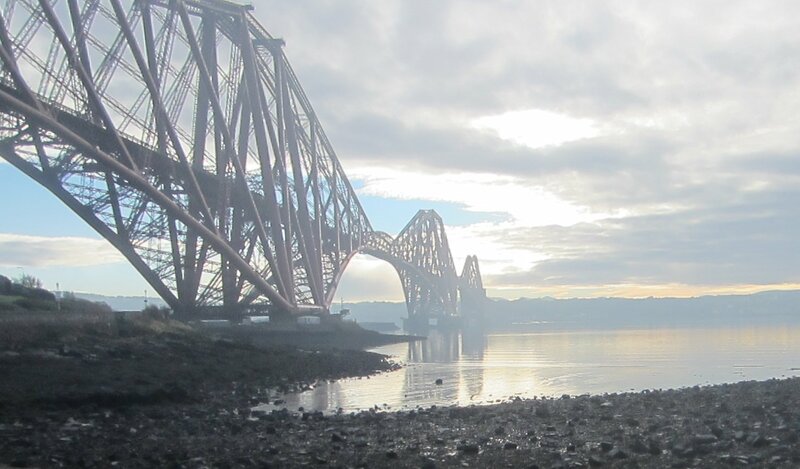 Our departure point in North Queensferry had been chosen on a previous aborted trip for protection and to minimise the ooze walking. In reality the launch point was still a good walk from the car and the “beach” was slimy mud. 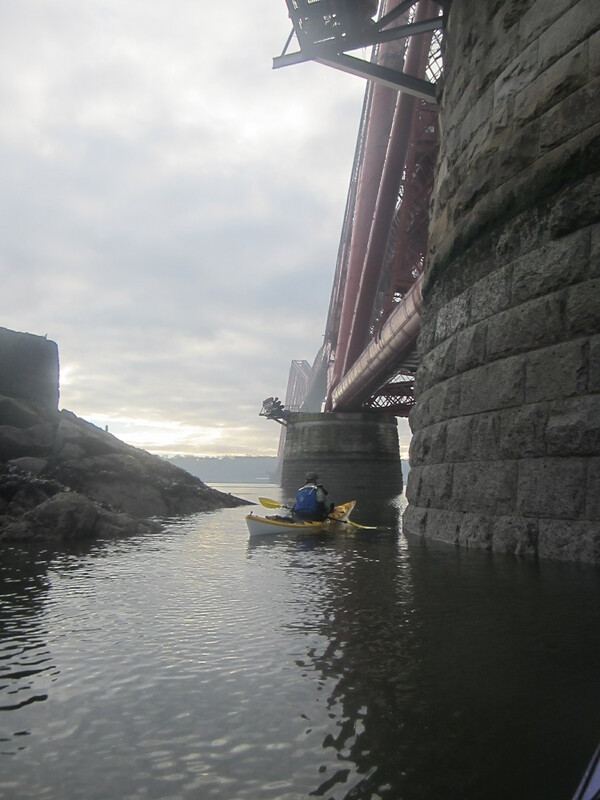 Not recommended; the slip at South Queensferry would be better. However the location is otherwise good being tucked underneath the vastness of the rail bridge in the old village. 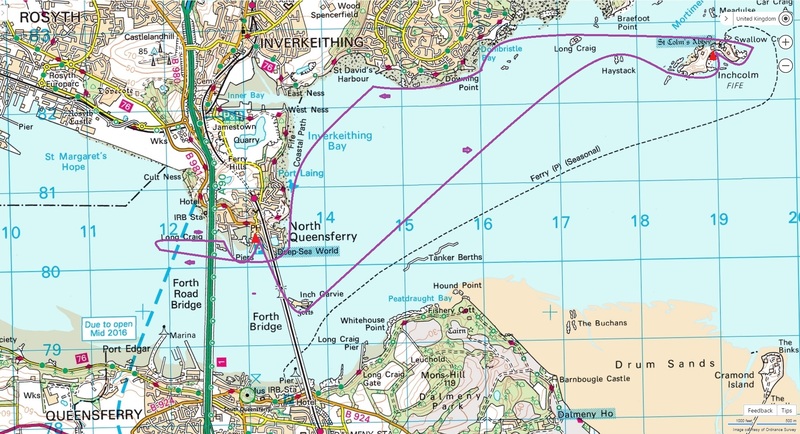 Compared to the Clyde the Forth is a busy river with a regular container service and oil and gas carriers. With fog drifting around throughout the morning there was always a worry that it might descend whilst we paddled across the shipping lanes. We carried VHF radios! 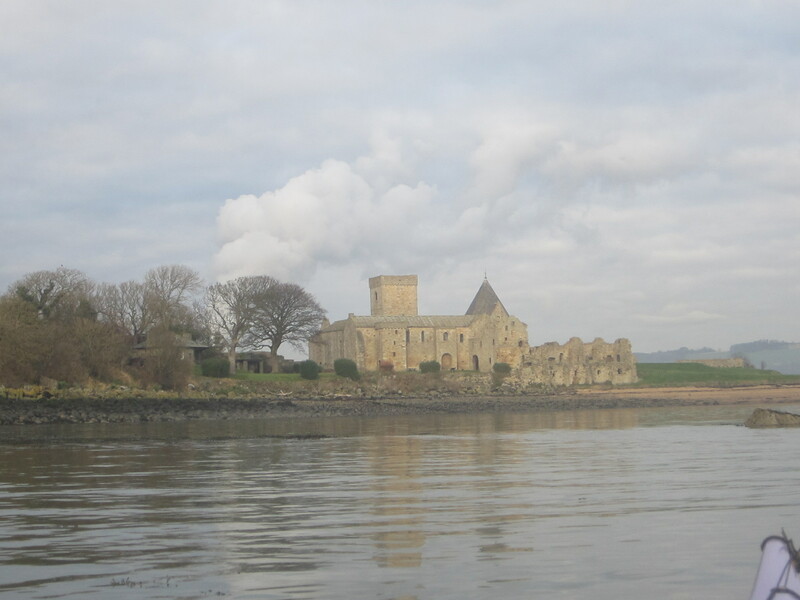 Our major target was the Inchholm and its Abbey. 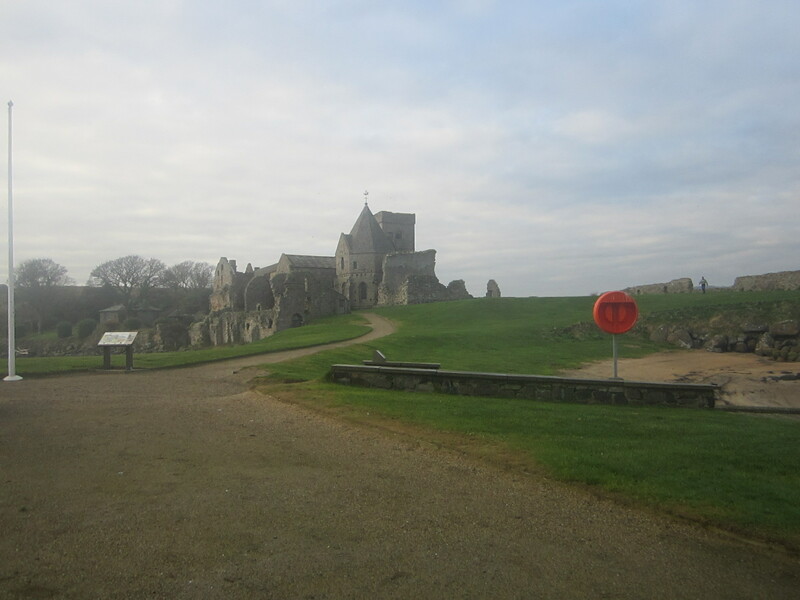 This is a lovely place to visit, thoroughly recommended, with two sand/gravel beaches to land on, and interesting ruins of both the thirteenth century Abbey but also the twentieth century WW2 fort. Picnic tables are provided for the occasional sea kayaker. We were the only people on the island. On the north side of Incholm can be found Gnome Island. 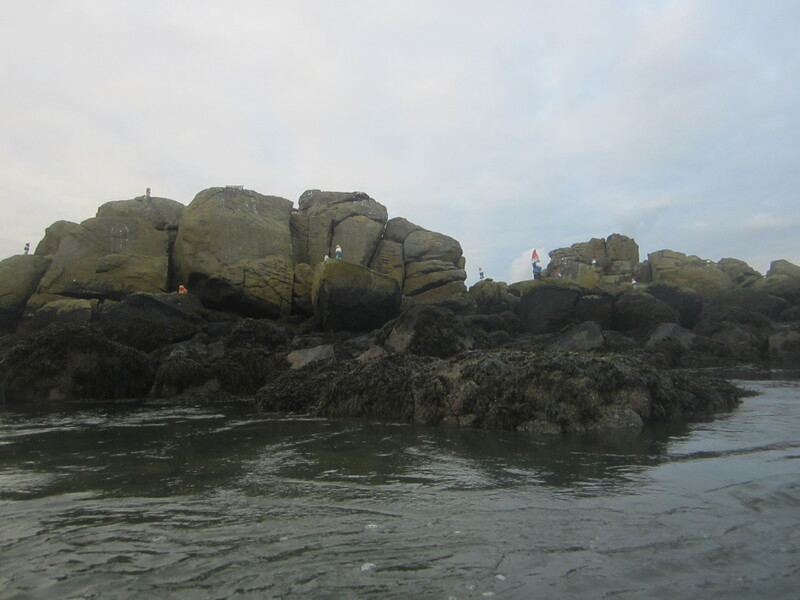 This little detached outcrop at the entrance of the north bay was covered with Garden Gnomes of every sort, size and description. 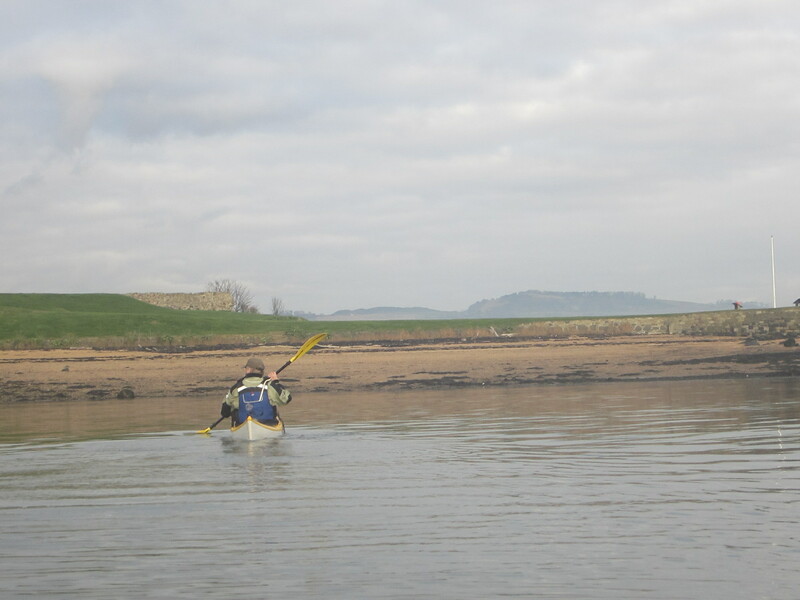 The very short day led to us abandoning a possible second target of Cramond Island in favour of a closer look at the bridges. There were a lot of seals around and on rather large male (how does one know?) decided to closely accompany us most of the way back. 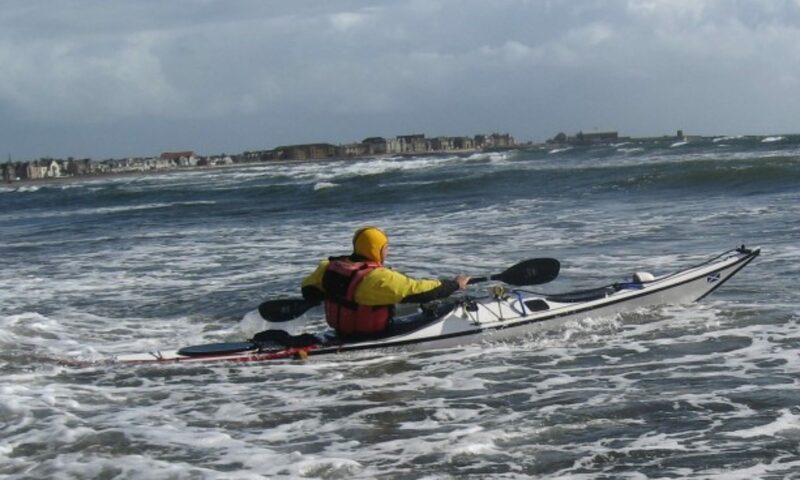 At one stage he was right alongside the kayak. As I went to take a photo he dived with his tail soaking me in water. Grey Seal on a grey day. 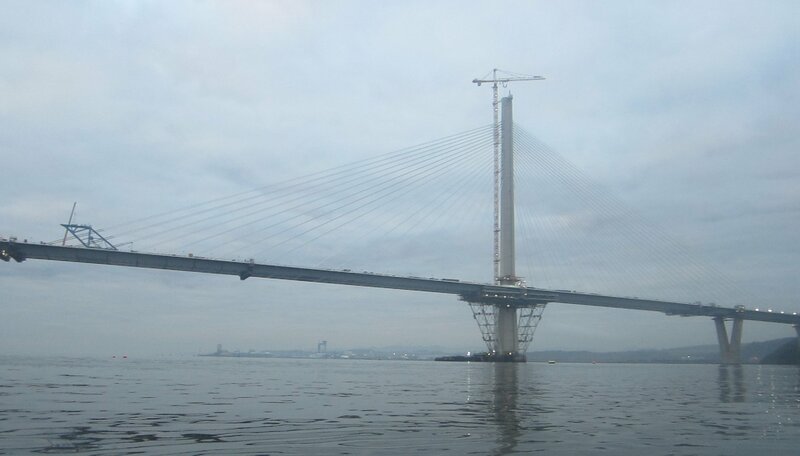 The three Forth bridges represent three stages in the history of civil engineering: the 19th century rail bridge with its thousands on tons of wrought iron;the 20th elegant century road bridge supported by huge cable and now the longer 21st century road bridge with its mass of fine cables is nearing completion. By 3.40 the light was failing and we were back at the cars for the long drive (1.5 hours) back to Helensburgh. What the trip lacked in terms of sun and beautiful scenery was more than compensated for by the interest and the lovely Abbey.